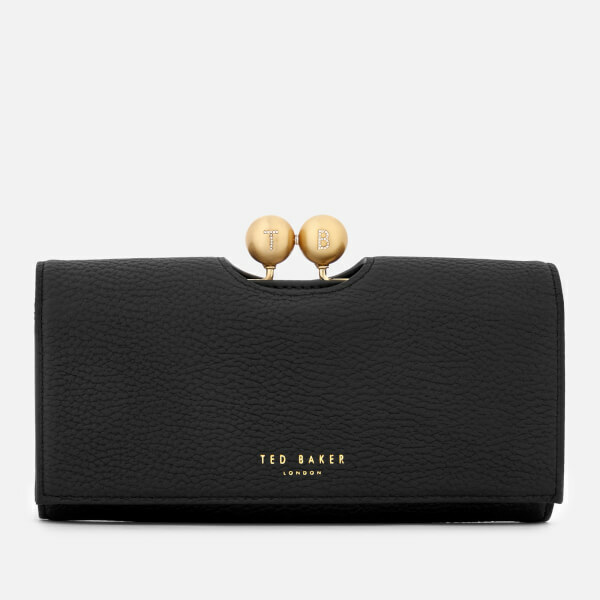 Ted Baker matinee purse crafted from textured bovine leather with a tonal bow print lining. 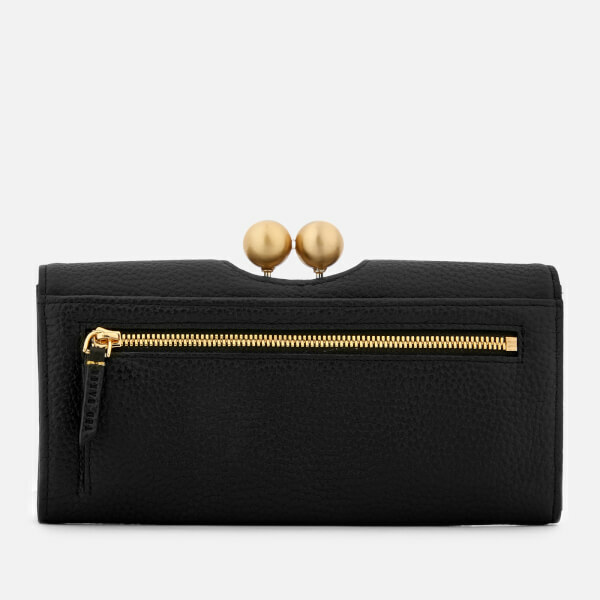 Secured with a press stud front flap, the 'Josiey' opens to reveal eleven card slots, two note sections and an I.D window. 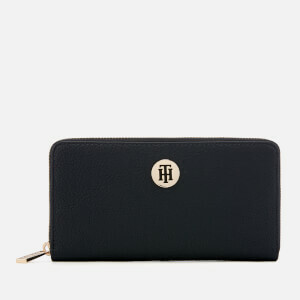 An additional pocket with a diamante logo bobble clasp accentuates the design. Complete with an external zip pocket to the rear, and scripted writing to the interior. 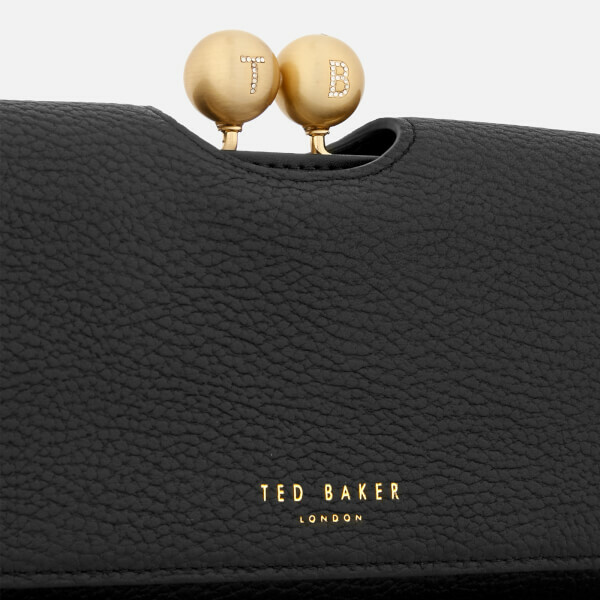 Gold-toned hardware and foil branding lend a signature finish. Housed in a Ted Baker gift box.